Sandpoint, Idaho and its surrounding area is also known as Matchwood from its historic days of making matches from the local pine trees. 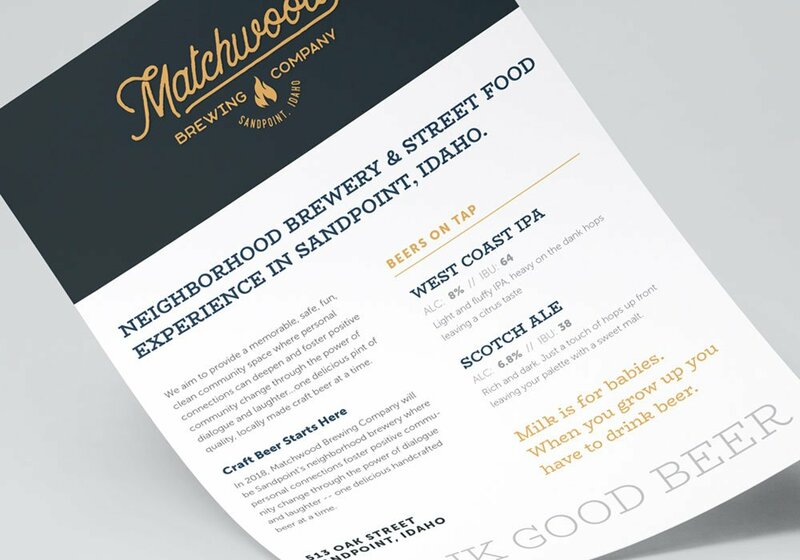 Matchwood Brewing Co. is about to break ground and bring great craft beer to the small tourist driven destination town. The owners wanted to pay tribute to the history of the area, plus be warm and inviting. “Matchwood” was a name given to an area close to Sandpoint, Idaho for it’s old growth Western White Pines. These pines were harvested to create matchsticks in this old timber town. A good quality match meant that you would be warm at the end of the day. 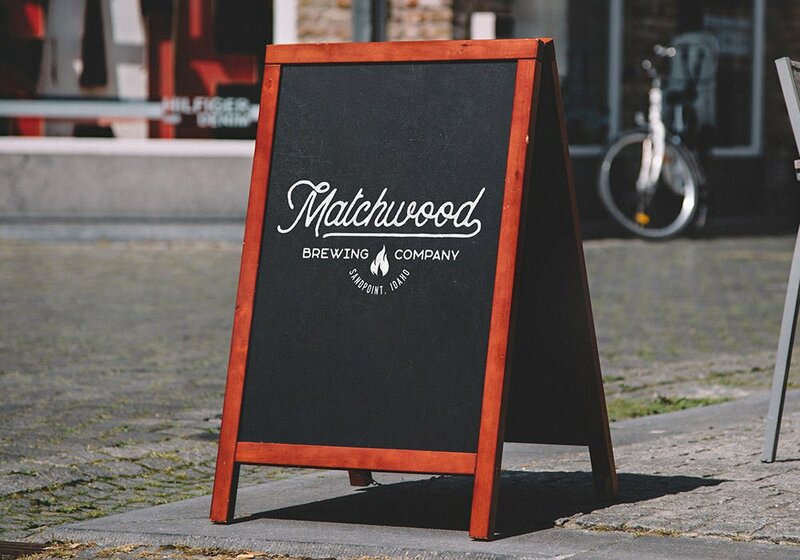 Matchwood Brewing Company wanted to embrace the local area by using it’s name and history. The use of fire in the logo mark takes a nod to the matchstick industry roots, represents a warmth, and also a sparking point for the local community.